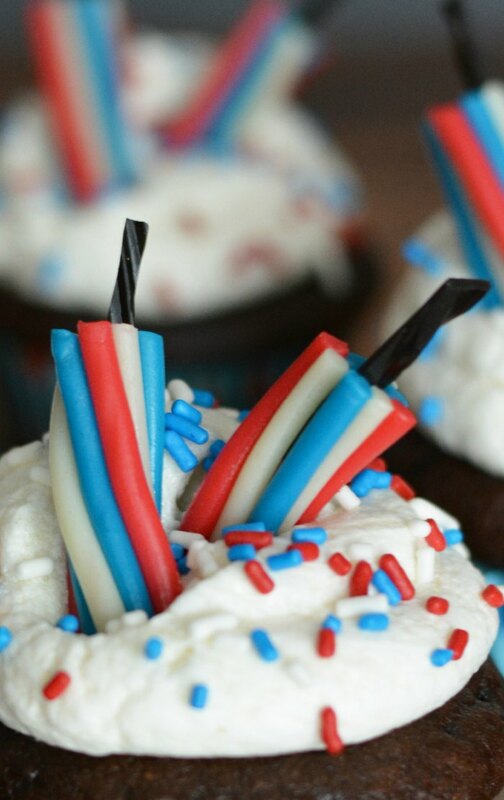 These fun firecracker cupcakes are perfect for all your patriotic festivities! Use a sharp knife to cut black licorice into 1″ lengths. Cut the 1″ length into four separate pieces (vertically), in half and then those half pieces in half again (so you have thin pieces of the black licorice). 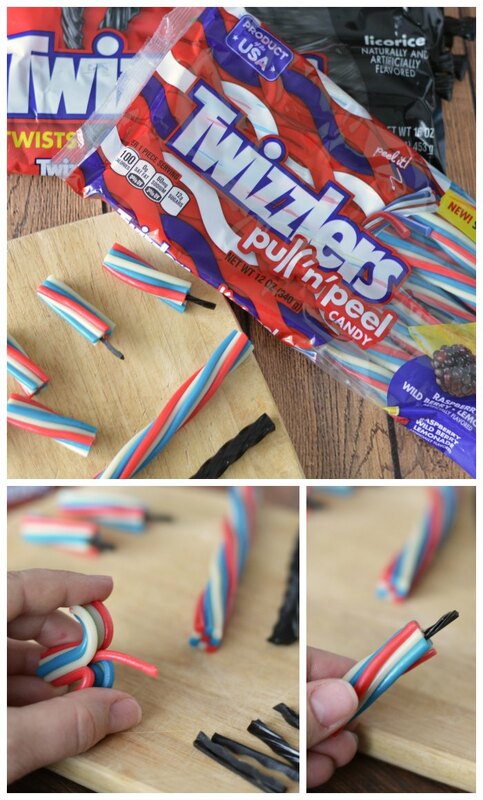 Pull the, white and blue twizzlers halfway apart and remove half of the center color. Add the cut black licorice in its place and press the pieces back together. 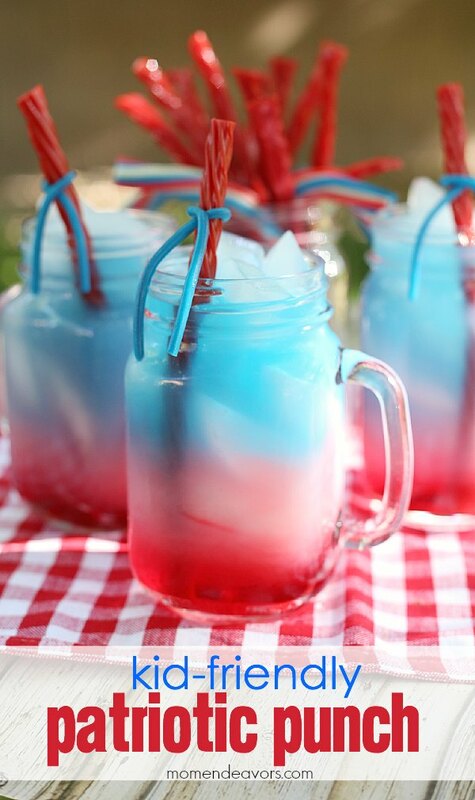 Set aside and continue until you have as many candy firecrackers as you’d like! 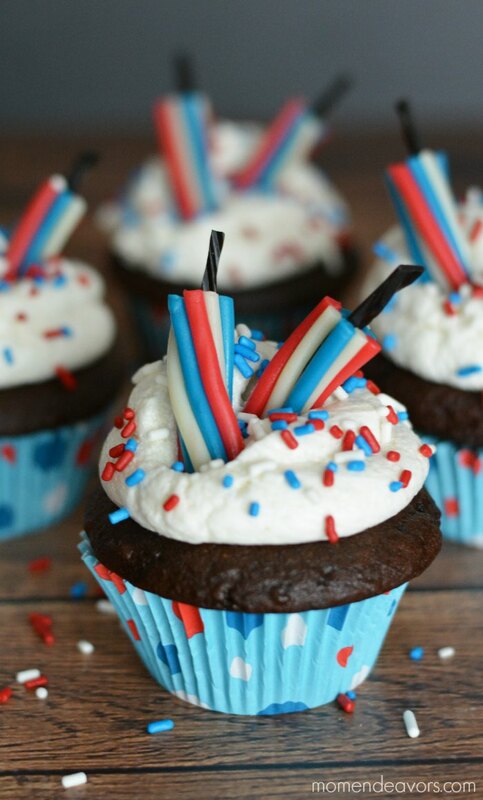 Use as toppers for patriotic cupcakes or any other dessert you’d like! 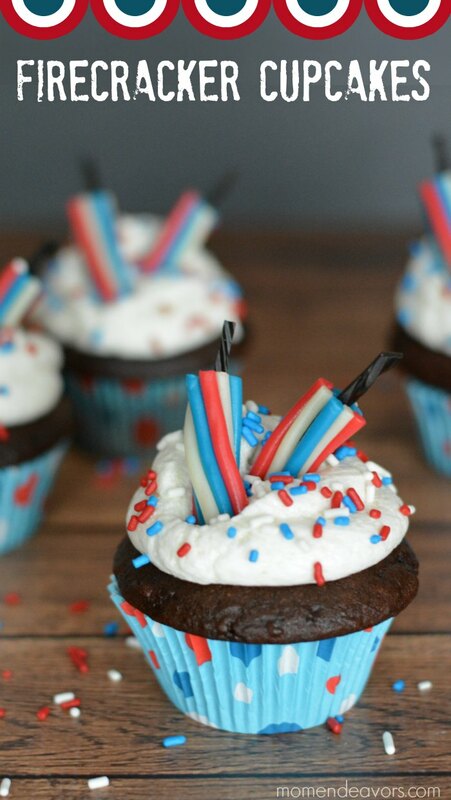 For these, we used chocolate cupcakes and white frosting. You can use any of your favorite recipes (or do an easy cheat and buy plain store-bought, then just decorate).